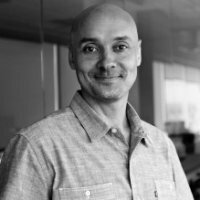 How is HubSpot different than Marketo? There is no shortage of Marketing Automation tools to choose from today. But choosing a solution that helps nurture, and engage customers in a helpful and human way is crucial in business today. This page will help you choose between HubSpot and Marketo to decide which is the right Marketing Automation software for your business. The HubSpot marketing software is all-in-one content, SEO, automation, reporting, and campaign management tools in one robust, and easy to use platform. HubSpot is ranked #1 in Marketing Automation by G2 Crowd, and #1 by Gartner. Marketo provides individual email engagement, marketing automation, analytics, and personalization tools to help convert visitors into customers. Marketo is ranked #8 in Marketing Automation by G2 Crowd, and #3 by Gartner. "While most marketing automation tools have reached a certain level of parity when it comes to standard features (lead records, social, email marketing, landing pages, etc.) not every company excels in training, best practices, and support. Of all of the tools I've used (Eloqua, Marketo, HubSpot), HubSpot clearly focuses on usability and customer retention. 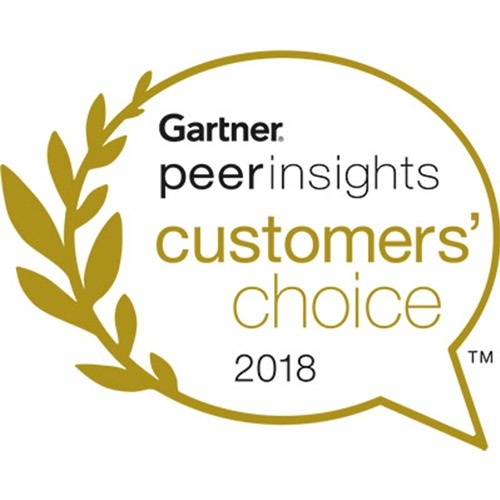 It's tailor-made for orgs that want fast ramp-up and ROI and does a fantastic job of making sure that multiple resources exist for whatever question you might have." - Eric C.
Ease of Use - Whether you’re a large enterprise business, or an up-and-coming startup, speed is the name of the game today. The platform you choose should enable you to create and edit pages without the help of developers or I.T. Mobile Optimization - Mobile has taken over desktop-based traffic, and it’s not only important for a better user experience, but it’s a crucial part of SEO today as well. The platform you choose should include mobile optimization. Because Landing Page creation and hosting is possible in both HubSpot and Marketo let’s breakdown each. In Marketo, creating is possible through a visual editor but requires deep knowledge of CSS and HTML to visually make the page appealing and optimize it for mobile traffic. 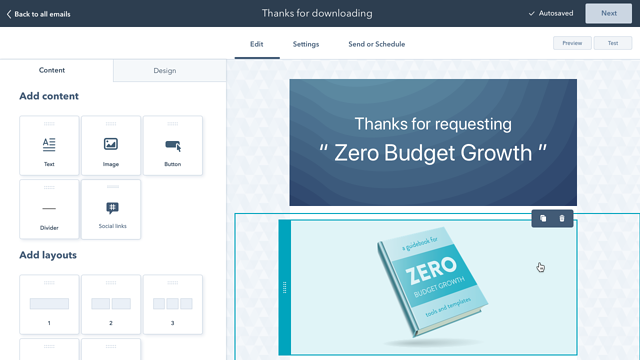 With HubSpot, marketers can select from thousands of drag-and-drop templates or easily create their own and change the page layout and design visually. Add forms, CTAs, live chat and more without requiring developers -- and it's all mobile-optimized out of the box. With HubSpot, all the tools you need -- like live chat -- are integrated right out of the box making it just a click to setup and available at no additional cost. Learn more about how you can start creating great content in the Marketing Hub. Engaging with your prospects and customers through emails is at the core of any marketing automation platform. Yet, automation itself has started to evolve beyond just email to take care of the busy work and connect with customers in new ways. Because email and automation are two central components to your choice, let’s breakdown some of the core capabilities of HubSpot and Marketo. Marketo includes core capabilities of marketing automation, such as sending email, but requires integrations with CMS, CRM, and other tools to make the most of. Most integrations will require code to integrate into your applications and can take significant time to setup. 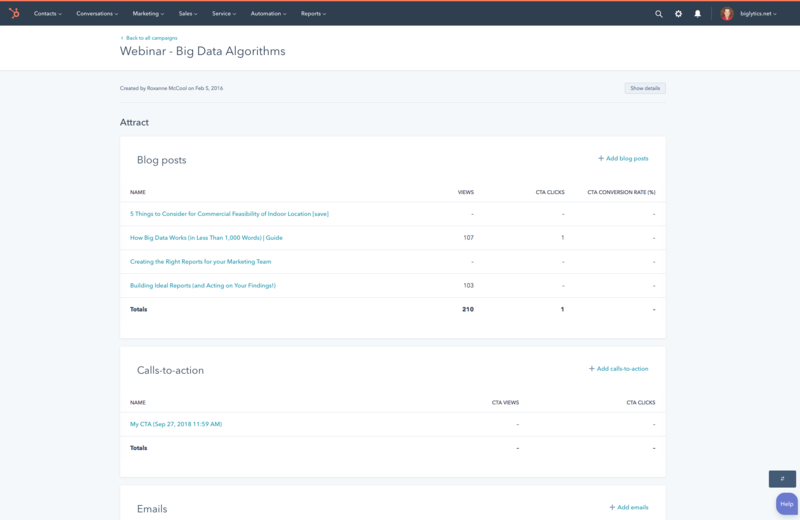 HubSpot is all-in-one marketing software that includes content creation, email, a CRM, and automation in a single platform so all your setup is available visually and doesn't require a single line of code. Whether you're creating just a single email, or a holistic campaign that nurtures prospects into customers -- it's all available in the Marketing Hub. Learn more about how you can start automating beyond just email and all Marketing Automation capabilities in the Marketing Hub. HubSpot was easy for us to use from the very start. Within two weeks, we had analytics functioning, our social media accounts synced, Salesforce integrated, and landing pages live. With our previous system, we were six months in, and had only sent two emails out. Because HubSpot is easy to use and intuitive, we're able to complete our marketing tasks easily. HubSpot became an asset for our organization. Going into the software, I was able to get all of the support I needed, 24/7. The phone support staff is every helpful, and wants you to succeed. The training programs provided me with all the knowledge I needed to run the software. This program is essentially the heart of our organization, aiding us in all our inbound marketing needs. If you're looking for an all-in-one program, this is the one! Measuring your entire funnel is important to making data-driven decisions. From the content you create, to contacts generated, to customers won, having a view of each piece of your funnel will allow you to focus on doing more of what matters -- and less of what doesn't. Using Marketo you have the ability to get robust reporting from high-level engagement analytics to revenue reporting. The reporting does require manual setup, which can take a significant amount of time. 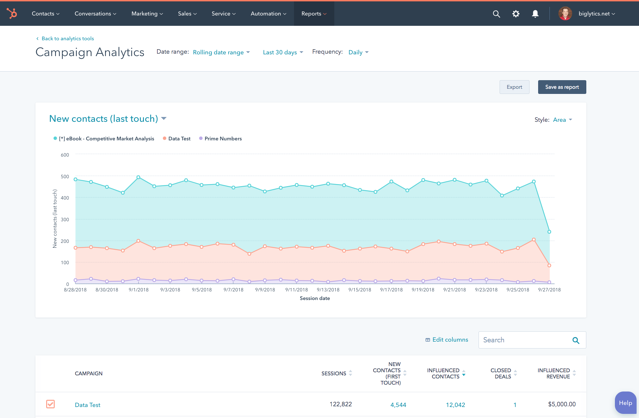 With HubSpot, all of your analytics from content and top-of-the-funnel metrics to engagement and revenue are available in one tool. Because it's all connected out of the box, no manual integration is required to get started. Marketing campaigns fundamentally drive growth, so any marketing automation platform you choose should help you manage campaigns in the way you and your team are organized. Campaign management should not only about help creating marketing assets, but ultimately also reporting on the performance of a campaign. Marketo has a file structure, similar to the file manager on Windows. This makes it easy to create campaign assets that relate back to a campaign and subsequently clone them if you have a similar campaign in the future. With HubSpot campaigns include content assets and also reporting. Within HubSpot you can easily create content assets, tie them together in a campaign, report on them holistically, then clone the entire campaign. The way each team works, and is organized, can be different. So the tool you choose should help align with your structure and fit the way your team works -- and the way your campaigns and content are developed. Marketo has flexible permissions that can work across teams, business units, and product line. 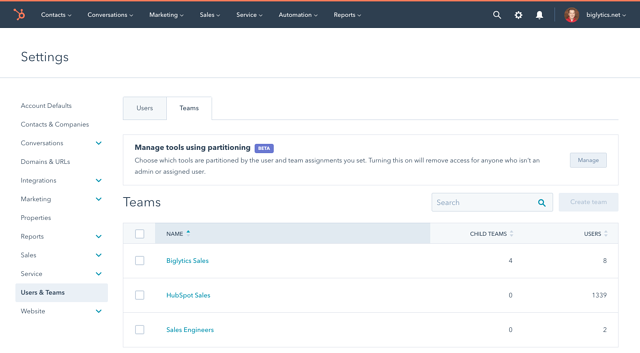 With HubSpot, you can setup teams so that content, contacts, and more are only visible to those responsible. For example if your organized by region you can have your North America marketing team see content and contacts generated for their region, then have your other regional teams across the world only see their data. Learn why organizations that choose HubSpot for Marketing Automation are happy, and more successful. Choosing a Marketing Automation provider is a crucial decision, so when you make a purchase it's important to consider not only the software, but the support and resources you'll recieve. With HubSpot we're invested in your success. Free Training & Education - HubSpot Academy resources are available to help you, and your entire team learn best practices and successfully execute campaigns that grow your business - and your career. Take a look at the dozens of courses available and get started today. Support is Available For Your Entire Team - Anytime a member of your user has a question, reach out and say hello. Our support team is happy to help whether it's a question about our software, or advice on how to best execute a campaign. Onboarding - When you start using HubSpot, you'll have a dedicated team help you get started with the software, any technical setup tasks, and execute your first campaign. Learn more about HubSpot onboarding here. Premier Services - If you are looking for consistent team support, we have options available from ongoing consulting to project-based consulting, and even technical help. Learn more about HubSpot services here. 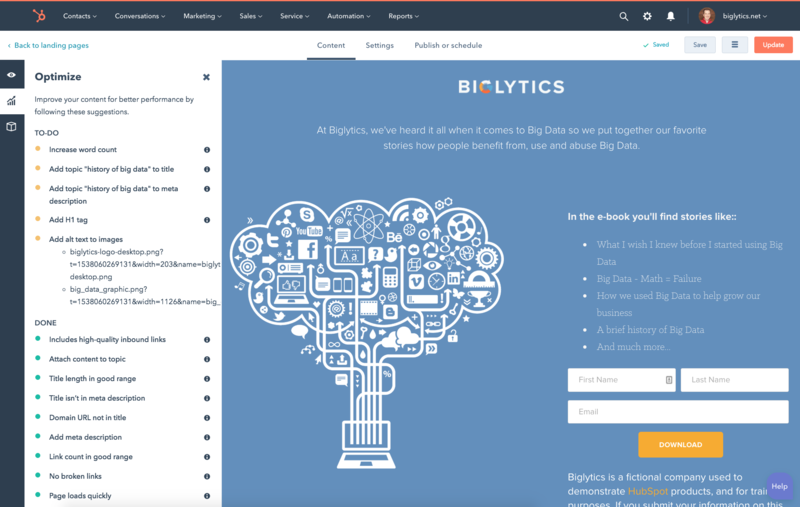 We've built the Marketing Hub to be easy for marketers, and growth professionals to use. That's why we're happy to share reviews of everyday professionals using HubSpot to grow better, just like you. 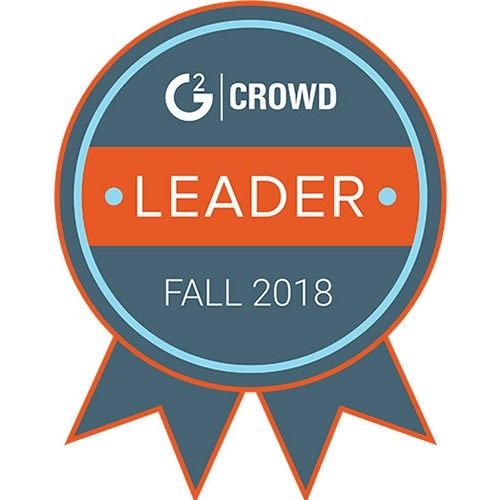 HubSpot has been named #1 in Marketing Automation by G2 Crowd. HubSpot has been named #1 in Marketing Automation by Gartner. Get up and running with help from HubSpot. With the help of an Implementation Specialist, you will receive both technical guidance to properly configure the HubSpot software, and campaign assistance to leverage the HubSpot tools and Inbound Methodology. Marketing education available at your fingertips. Join the community of 50,000+ marketers certified in Inbound Marketing and grow your career, and business. Once you're inbound certified, learn new skills or get additional certifications in email marketing, design, content marketing, and more. Get hands-on training in HubSpot and Inbound Marketing. HubSpot Classroom Training is designed to be a personalized training experience. By attending these courses, you’ll dedicate one or two days to understanding how the HubSpot tools fit together, learning inbound marketing best practices, and more. Making the decision to go with HubSpot to help YouEarnedIt promote "Happiness at Work" is one of the best business decisions I've made as a marketing professional. The support, training, account management and overall product experience have exceeded my expectations. Customers, partner agencies, and others have written numerous articles comparing HubSpot vs. Marketo. Improve your lead to customer acquisition rates by learning how to add a lead nurturing campaign. Learn how to manage sales leads, organize them into segments, nurture, qualify, and hand them off to sales in this course featuring our top lead management lessons. Co-authored by Christopher Antonopoulos of Measured Results Marketing and Sam Balter from HubSpot, this eBook will help you answer the question related to switching vendors.